Pan back to real life. 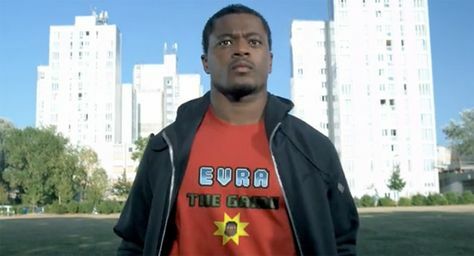 Evra zips up the hoodie, grimaces and covers face. We dig it: it talks to kids, soccer fanatics and an older, playful generation that still likes its old-school gaming experience. And that power-on force is in keeping with Nike's tireless spirit. Slick work by Duke Interactive for Nike's Sportswear line, via Le Publigeekaire.